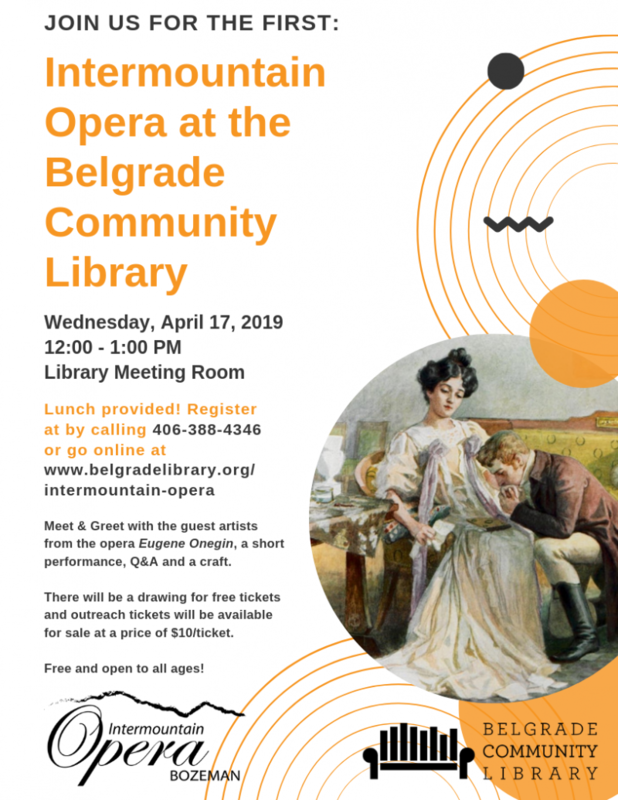 For the first time ever, Tchaikovsky’s monumental Russian opera will come to the stage in Bozeman. 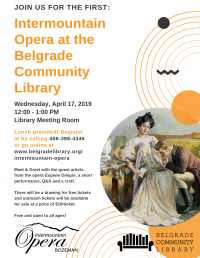 Please register online for lunch at the Belgrade Library to meet some of the guest artists, hear a short performance based on the opera Eugene Onegin, coming to the stage on April 26 & 28, and do an opera related craft. There will be a drawing for free tickets, and tickets available at the outreach price of $10/ticket. Open to all ages.